Here's a simple concept. Find an old historical S-Series or Saturn prototype image on the web or in your possession and place it here for posterity. Advertising or Brochure images, Manual pages etc. I found this which I had never seen before and I thought it worth sharing. The image was right here on Saturnfans.com, due to the hard work of Charlie. 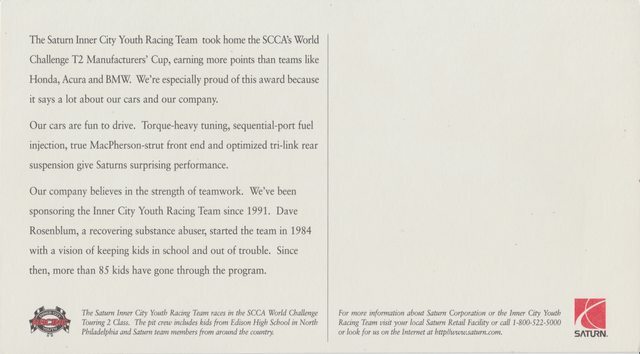 ..... a great behind the scenes of Spring Hill and the S-Series back in the day. If you have 20 minutes of time- some cool shots of the assembly line and various workers commenting on their pride in building the cars. Video note: There is :15 seconds of Video Black before the video starts. Thanks for the compliment. I stumbled on that video a few days ago while I was surfing around on youtube. This is an awesome shot found in a Hemmings article. 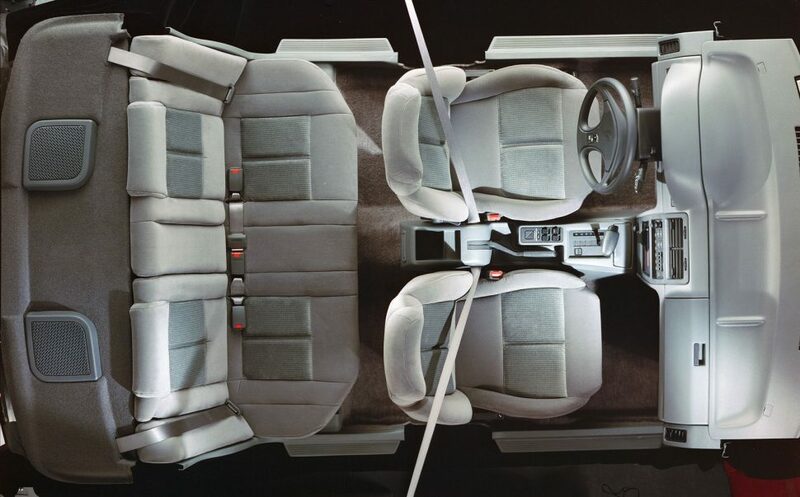 I would guess that it is from a Saturn brochure. It would make a great poster in a Saturnfan’s garage. I had me fooled! Upon closer inspection this was another photoshop dream by an anonymous Saturnfan. Notice the cloned reflection in the rearmost glass matching that of the back door glass. Edit: I made sure to look through this thread before posting this to see if someone else already did and I still somehow missed it the post dummo made previously, whoops. Wow! Look how clean & shiny! That Hemmings article has a lot of really high quality photos. I wonder if there are more like them somewhere, they're really nice. 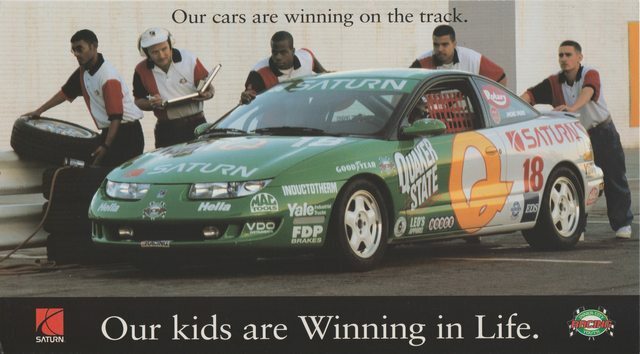 A whine back, Charlie posted a Flashback Friday about Saturn ICY Racing. Now I may have gone 'a little' over the top with the scan at 600 dpi but, go big or go home, or something like that. Thanks for the plug Zeebins! The personal "hook" I had to that race team is right there in the photo - that blue square by the rear wheel that says "EDS" was the company I was working for at the time. 2001 LW200 (4th saturn owned) 265K+ Miles! Rate the quality of this post and help PaulGraz reputation points. Click the reputation button near the bottom left corner of this message box. Thank you! Ha. 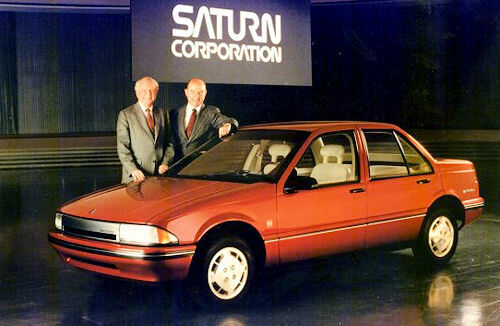 I would have NEVER purchased a Saturn if the first s-series had looked like the prototype. I loved the original sporty look of the s-series sedan.